Pasta has been a staple in our weekly menu for as far back as I can remember. It’s a quick, easy dinner that fills the belly and stretches the dollar at the same time. But when I began my new eating plan, it was one of the casualties of the cause. That’s when I found Dreamfields Pasta, a high-protein and high-fiber pasta that tastes great and comes in a little black box (LBB). I made the purchase and proceeded to cook up a pot without discussing the change to my family. Every plate was cleaned (and several rounds of seconds requested). Dreamfields is made using durum wheat grown by over 1,000 American farmers. 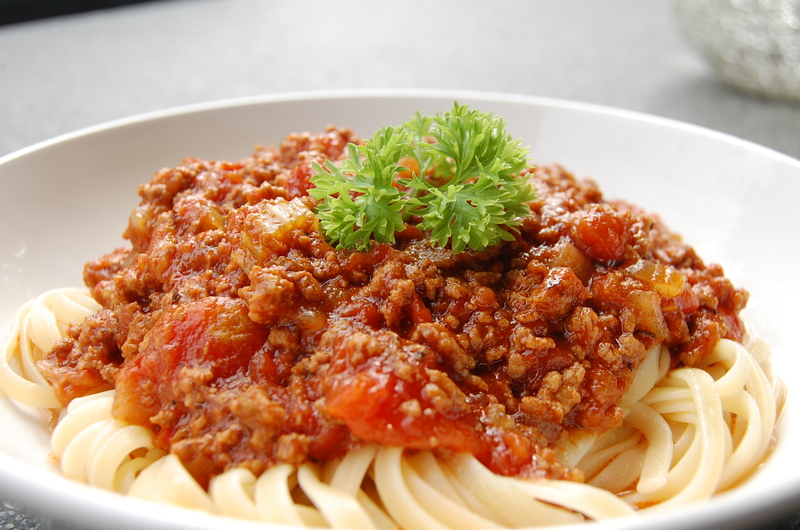 It is authentic pasta with 5 grams of dietary fiber per serving – 2.5 times more than traditional pasta. Dreamfields also adds a natural plant fiber called inulin that helps support better digestion. This patented blend of fiber and plant protein helps you feel full longer to help maintain your healthy weight goals. It’s no wonder that Dreamfields has been my go to pasta since… no looking back! 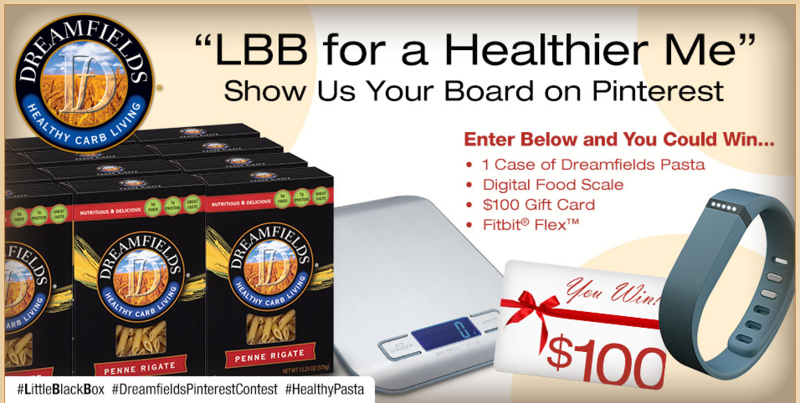 Have you heard about the “LBB for a Healthier Me” contest on Pinterest? For the month of February, participants are encouraged to arrange photos onto a special Pinterest board to showcase simple ways to make life a little bit healthier . . . and keep those New Years resolutions alive. Contest entry captions should explain how each image contributes to pinners’ goals, using at least one of the official program hashtags — #HealthyPasta, #LittleBlackBox or #DreamfieldsPinterestContest. Pins can include healthy pasta recipes, exercises, fun activities and inspirational messages, and anything that inspires long-term commitment to wellness. Participants will have a chance to win a Fitbit® Flex™, a digital food scale, a $100 gift card to buy healthy groceries and a case of Dreamfields pasta by creating an inspirational board on Pinterest. All entrants receive a free pasta coupon, too! Check out all the contest details here: www.TryDreamfields.com/contest. 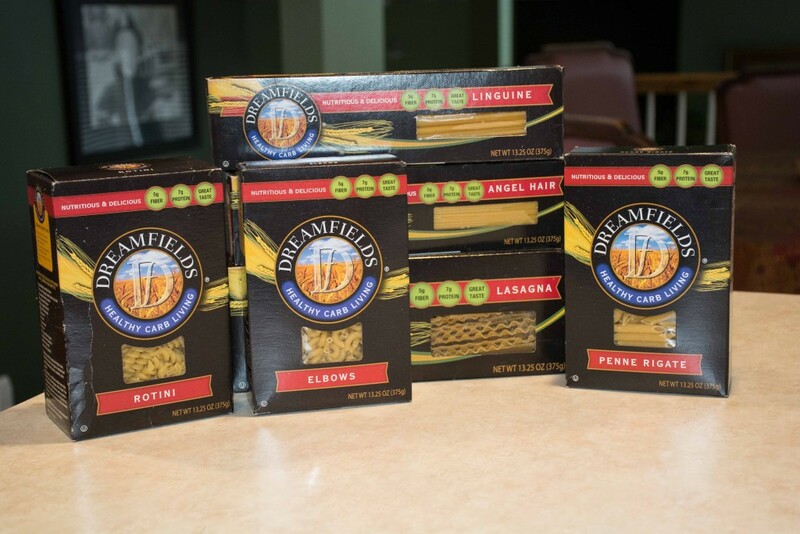 ONE OurKidsMom reader is going to win a case of Dreamfields Pasta (12 boxes)! This giveaway ends at 11:59 PM EST on February 28, 2015. I’d like to try the Mediterranean Pasta, Chickpea & Fennel Salad with Creamy Feta-Dill Dressing recipe! I want to try their Penne Rigate pasta. I would like to try Dreamfield’s Chicken Caprese Salad Rotini pasta recipe. I learned that Dreamfields pasta is made from the finest North American-grown durum wheat semolina. The dreamfields pasta has 5 grams of fiber and 7 grams of plant protein per serving love to try it . Dreamfields Pasta has some really delicious-looking recipes. I would love to first try the Mediterranean Pasta, Chickpea & Fennel Salad with Creamy Feta-Dill Dressing. I would like to try to make their Lemony Spring Peas & Pasta Salad recipe. I love angel hair spaghetti. My husband is a great cook and I can only imagine the delicious dishes he might make with this! I’d especially like to try their Rotini and I learned that Prebiotic fiber helps promote healthy digestion. Thanks. I learned that it has 5 grams of fiber per serving. My kids would like the rotini. I really like all of their carb conscious recipes! I had no idea that they added something called inulin to the pasta! We could use more aids in our digestion and we love pasta! I’m going to try the Sherri’s pesto pasta recipe because I just picked up some pesto! I love their recipes. I love all the recipes. I would like to make the Lemony Spring Peas & Pasta Salad. That it’s different than other pasta, with protein. I love that there are so many good recipe ides there. I would love to try their lasagna noodles! I like the Rotini Greek Salad recipe on the Dreamfield site. I learned that Dreamfields Pasta has 5 grams of fiber and 7 grams of plant protein per serving. I would love to try their Linguine Puttanesca recipe from their site. I did not know they had lasagna noodles! I learned that this pasta’s ingredients helps you stay full longer. I love all the amazing recipes on their site! I’d like to try the Rotini Greek Salad recipe. I love all the wonderful recipes that have to offer and I’m definitely going to make the Lasagna Soup. I learned they have Spaghetti, Angel Hair, Linguine, Elbows, Penne Rigate, Rotini and Lasagna. I want to try their Linguine and Penne Rigate! I like that there is more fiber in this pasta to make it more nutritious for the kids. I’d love to try the Linguine style pasta! I saw their recipe for Savory Ricotta Angel Hair, and I think I might be trying that this week! I like the Rotini Greek Salad recipe, looks yummy. I like that they offer coupons and recipes. Id like to try the rotinni greek salad. I like that there is 5 grams of fiber in their pasta. I learned that they have a lot of great recipes, I would love to try the Fruit & Yogurt Elbow Salad, it sounds really interesting and unique. I like the added fiber in the pasta and the fact that the wheat is grown in North America. I learned that one does not have to sacrifice taste for health. I entered the Samsung Digital camera giveaway. I’d love to have the Cuisinart Espresso maker. Their recipe section is fabulous! I would like to try the Rotini Greek Pasta! I would like to try the recipe for Rotini with Ground Beef & Spinach. I really want to try their Lasagna noodles. I liked that they have recipes for their pastas. I learned Dreamfields pasta has 5 grams of fiber & 7 grams of plant protein per serving! I love that it is so high in protein & fiber! I learned there are 2 stores in my small town that carry these products! Yay! I learned that Dreamfields Pasta has two and half times more dietary fiber than traditional pasta. I like their Rotini. I would like the make the Easy Chicken Parm Soup recipe. I’d like to try their Rotini to make pizza pasta. I learned it tastes like traditional pasta! I like that they offer recipes. I learned that their pasta has 7 grams of protein per serving! I want to try the Dreamfield Angel Hair pasta. I learned their blend of fiber and plant protein helps you feel full longer! Sounds great! They have lots of great recipes! The one that really caught my eye and I want to give a try is the Fruit & Yogurt Elbow Salad. Sounds delicious! I’d love to make Sweet Potato Mac and Cheez with their Elbows. I would like to try the recipe for the Ginger Noodle Salad. I learned that they have a great recipe section. I’d like to try the recipe for Bruschetta Spaghetti. I enjoyed seeing the seven differenet pastas and the recipes. I want to try their lasagna noodles so I can make some delicious lasagna! I would like to try the Penne Rigate. I learned they have lots of different kinds of pasta shapes. I want to try the Stir-fry with Linguine, Beef and Vegetables recipe. ts blend of fiber and plant proteins helps create a pasta that offers many healthy benefits while still having the same great taste of traditional pasta. I like that they have so many recipes to choose from and am going to try a few of them out. I love all the recipes on there! I would love to try the Lemon-Herb Penne!